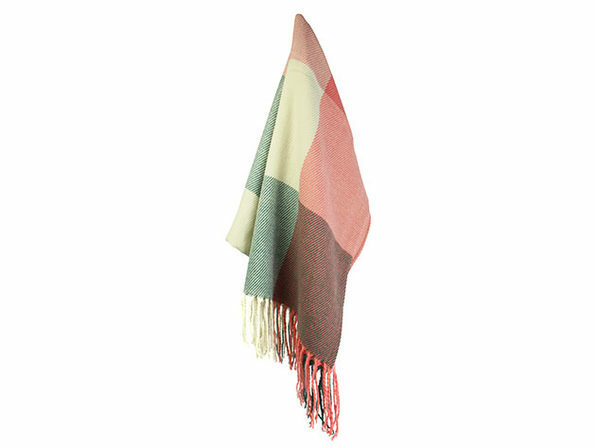 Stay warm, cozy, and vibrantly colorful with this reversible shawl. 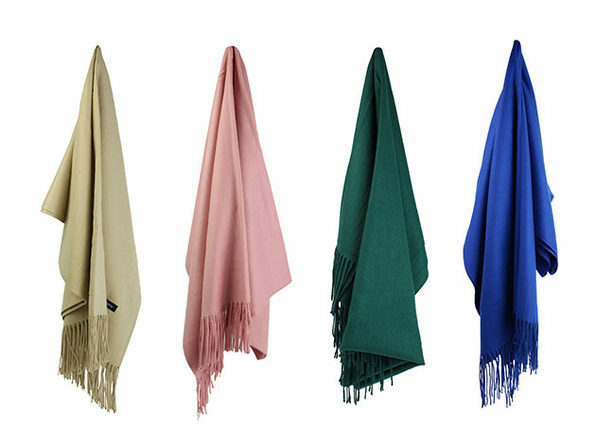 The Colorama Reversible Shawl can enhance your winter outfits with a vibrant display of rich colors. The shawl is reversible, with one side featuring big squares and the other small squares. 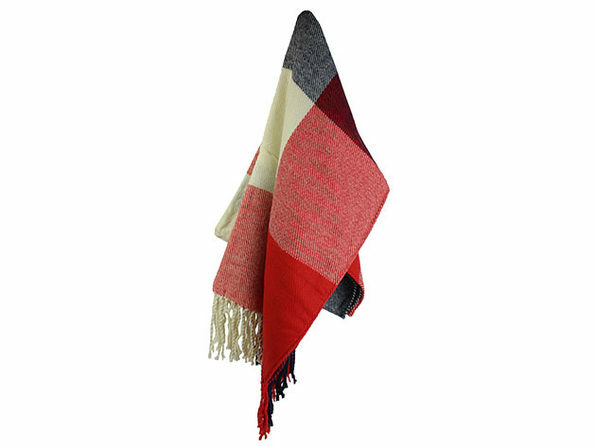 It's made with an acrylic and cotton blend and offers more than six feet of length to bundle yourself up in.